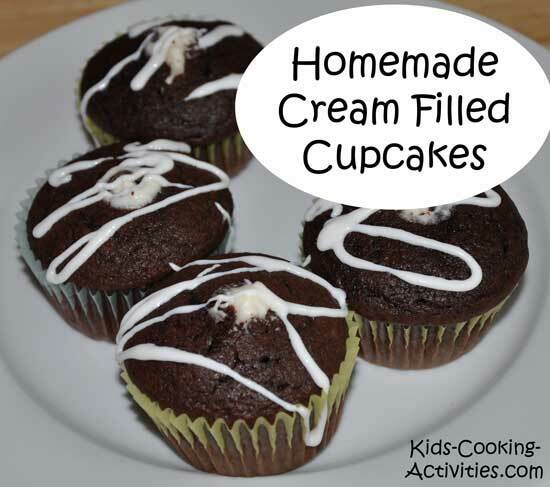 This is an easy method to make cream filled cupcakes. 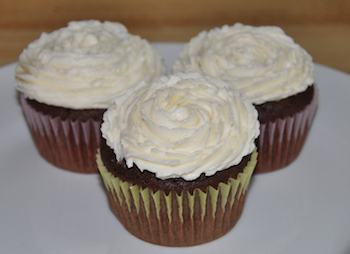 They are so delicious, it is one of our favorites at our house. Prepare cake mix according to package directions. 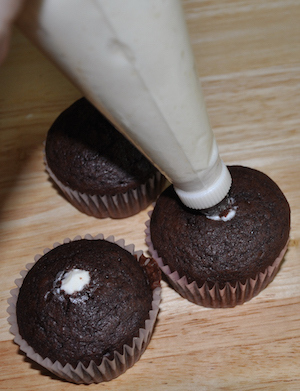 Fill greased or muffin lined muffin pans with batter. 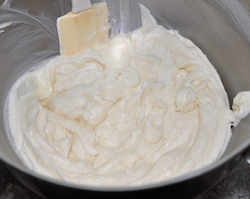 Bake and set aside to cool. 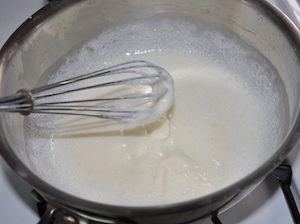 In a saucepan, cook together flour and milk. 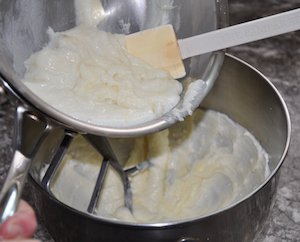 Stir constantly until thickened. Set aside to cool completely. 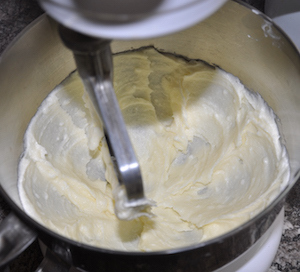 Add milk mixture, vanilla and butter extract. Beat well for 10-12 minutes. Fill a pastry bag with a number #21 tip or a large writing tip. Fill bag with cream filling. 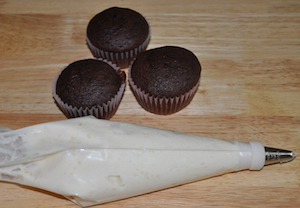 Insert tip of pastry bag in top of cupcake and squeeze filling inside the cupcake. 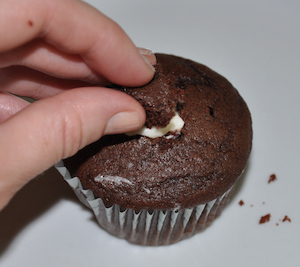 Once you see the filling come to the top you can stop squeezing. 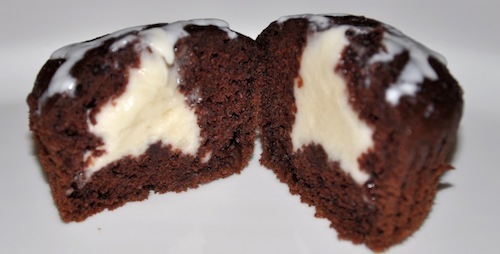 Frost cupcakes however you'd like. 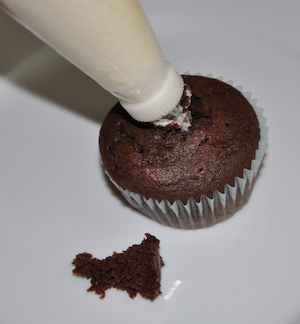 You can also cut out a small triangle with a knife on the top of your cupcake. Fill with filling and replace with piece of cake. Frost.